HealthRider is a fairly new brand in the UK marketplace. 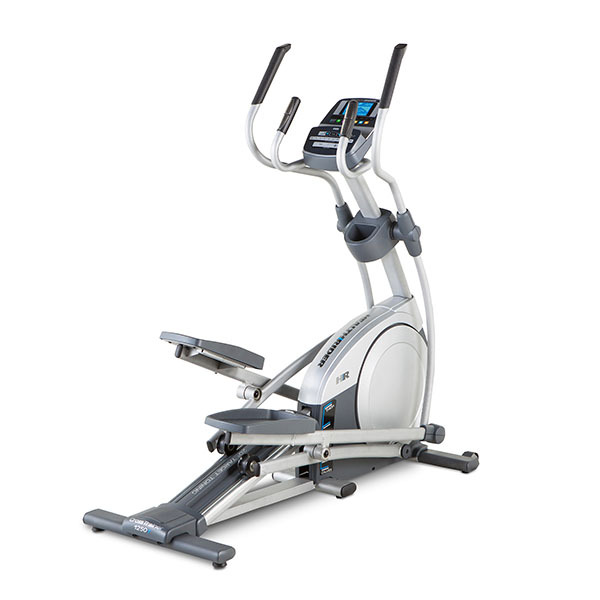 HealthRider machines are manufactured by Icon Health & Fitness, the world’s largest home fitness equipment manufacturer. Icon are the same outfit behind the ProForm, NordicTrack and Weider brands and have a wealth of experience in the market and a track record in delivering a lot of bang for buck. 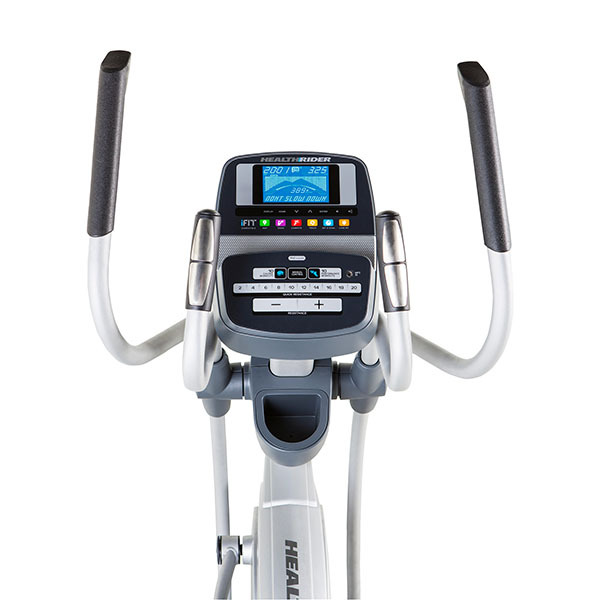 The HealthRider 1250 is the flagship elliptical in their range and having already tested the 950 & the 1100 we were eager to find out what the 1250 has to offer. Assembly of the cross trainer was a fairly standard experience for an elliptical theses days. The one comment would be that part of the assembly includes applying a special grease to the rails so this is an area that will need general attention from time to time to replenish the lubricant. Other than that the usual rules apply and while your reviewer managed to put this together single-handed, having 2 people for the construction it is a definite advantage. Once built, unlike the other members of the HealtRider elliptical family, visually the 1250 looks great and while 50 shades of grey as a colour scheme has the potential to be really, really dull, the 1250 actually looks modern and sleek! 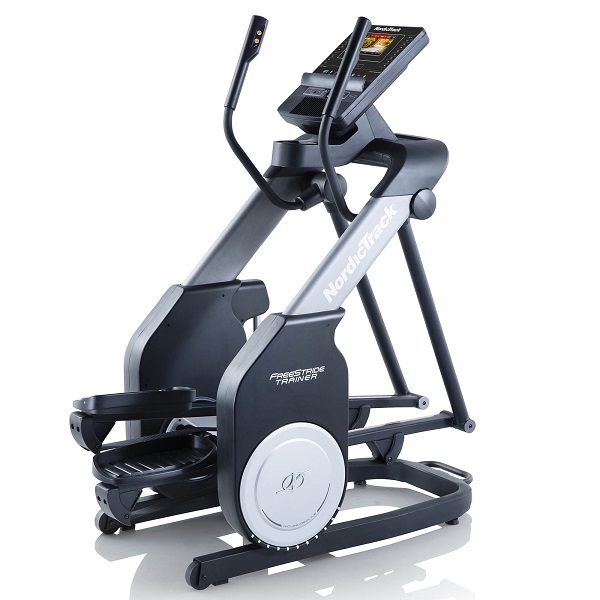 The 1250 boasts a 10kg (22lbs) flywheel which is more than adequate to deliver a nice smooth ride throughout the whole cycle while the 20’’ (50.8cm) stride length coupled with ability to manually adjust the incline delivers a really comfortable experience. 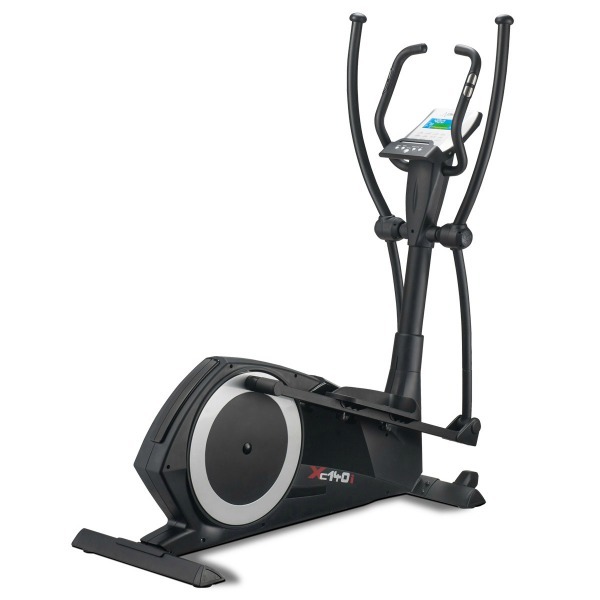 If feels very different to most other ellipticals, but not in a bad way. In fact, it feels really good! A bit of a departure from the feel of your average elliptical, but definitely good. Changing the levels of incline from minimum to maximum makes a considerable difference to the experience with the maximum setting producing a feeling that’s very much like a stepper machine and the minimum incline setting closer to a ski-type machine. 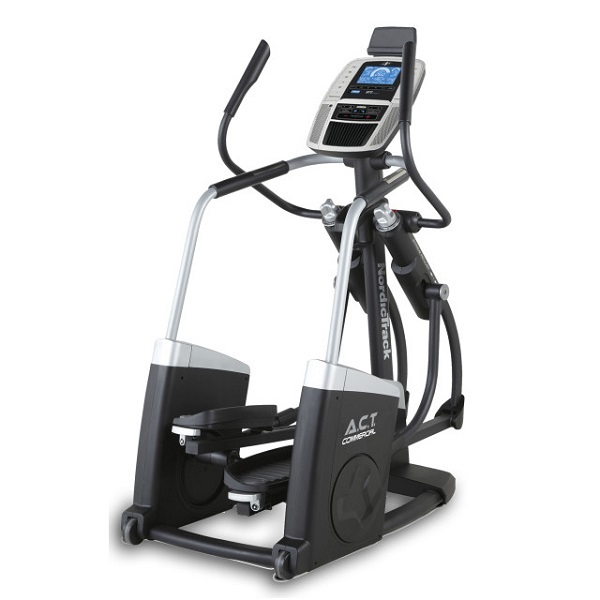 As a result, you can really feel different muscle groups being worked, so far from being a gimmick the incline on this cross trainer really does make a difference to your training and what you can achieve. While not electronically controlled, the manual incline adjustment mechanism works well and is easy to change. The manual aspect has the disadvantage that it’s not possible to change the incline level during your workout without stopping to dismount, make the change and then get back on. However on the plus side, this means fewer electronics and thus fewer things to potentially go wrong. Given changing the setting is very quick and easy we don’t think the manual mechanism is a major drawback in this instance. 20 levels of resistance provide plenty of options and what should be enough difficulty to challenge most people, even those who are already used to working out regularly. 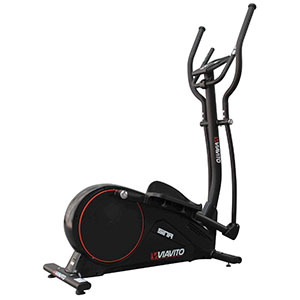 Even at the most difficult level the action throughout the whole cycle remains smooth and quiet with no discernable variations in speed making this cross trainer feel smooth and comfortable. The Q factor (distance between the pedals) is only 2cm! This means that your position on the 1250 is biomechanically spot on and should translate into less chance of sprains and strains, no matter how hard you push yourself as well as a making for a really comfortable workout. The console has a backlit LCD display with a blue background and white text display which is clear and easy to read. When you first lay eyes on the console you’re greeted by a lot of brightly coloured buttons and a display full of information making it look complex but this is a bit deceptive. It’s actually really very simple to use. For example, to start a manual workout you don’t even need to push any buttons! 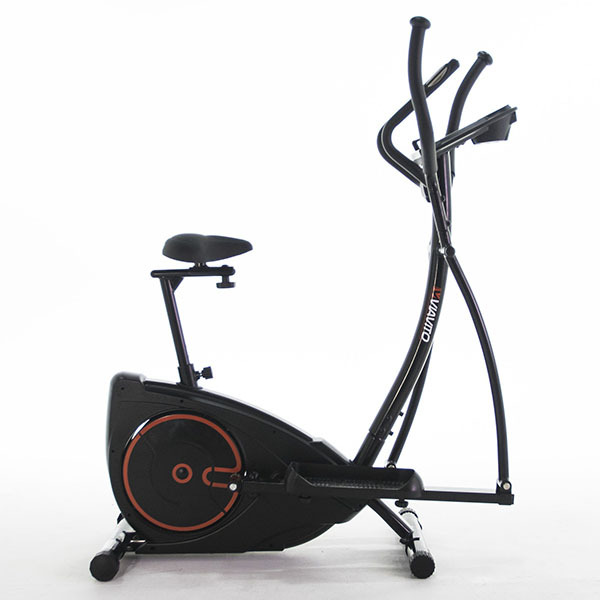 Just climb on and start pedalling and the manual programme will begin, then all you need to do is adjust the resistance which can be adjusted using the +/- keys or the ‘quick’ keys which allow you to go from level 1 to level 20 with the single press of a button. Going from level 1 resistance right the way up to level 20 takes just under 8 seconds. This quick speed along with being able to instantly select any resistance level using the quick keys should provide a good platform for those that like interval training. There are 20 built-in preset programmes that are divided into performance and calorie burn exercises. As each is selected (using the dedicated performance or calorie programme buttons), the resistance profile of the programme, as well as its duration is displayed on the LCD display. Just keep scrolling through until you get the desired programme and when you’re ready to start, you just start pedalling and the programme starts automatically. When facing the console you can’t help but notice all the buttons relating to iFit Live. For more information on iFit, check out the iFit.com website. To make use of iFit Live, you’ll need to purchase a wireless iFit module as well as a subscription to the service (typically around £100 for a module and a year’s subscription). 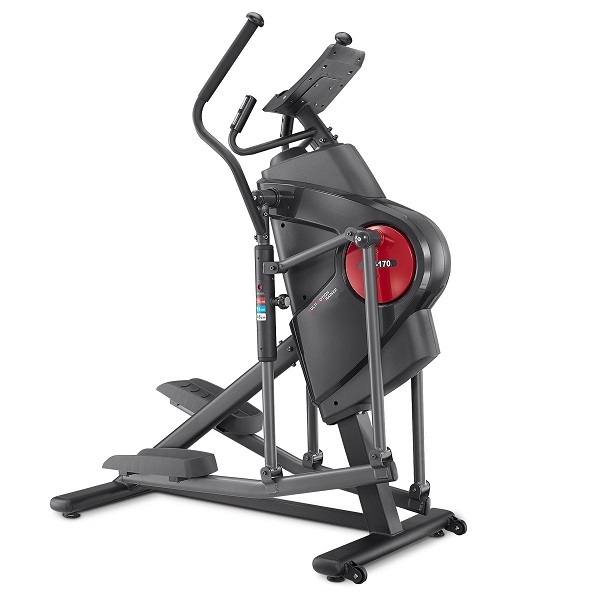 We’ve played around with iFit Live a fair bit as we’ve reviewed different machines that have it but it’s worth pointing out that that the 1250 is perfectly usable as an elliptical own right without ifit Live. One nice feature is the inclusion of a volume button which allows you to control just how loud the noises that the console makes are – and they can be loud! Doesn’t sound like much, but after you’ve played around with it for a bit on maximum volume, you’ll soon realise just how glad you are that there’s an option for turning the volume down! Other positives for the console are that it has a built-in wireless heart rate receiver, speakers and an audio jack to plug your music player into and a ledge that’s ideal for placing a tablet on so you can watch whatever you want during your workout. One downside to the console is the lack of user profiles so you have to purchase an iFit Live module in order to gain access to that feature. That being said, given the price point this shouldn’t come as a big surprise and the fact that user profiles are available via a module is a bonus. The 1250 has a max user weight of 135kg (297lbs) and a two year parts and labour manufacturer’s warranty (though you must register the machine with Icon Health and Fitness within 28 days of purchase in order to get the second year of cover). All in all the 1250 offers a great deal for the money being asked. 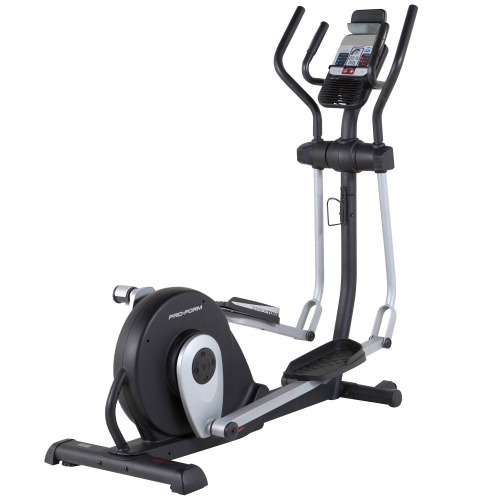 You’ll be hard pushed to find a front wheel based elliptical with incline adjustement, options for expanding the number of workouts (via ifit live), a 2cm Q Factor and interactive training anywhere else at this price point. The HealthRider 1250 is not currently available from any retailers we're aware of in the UK. 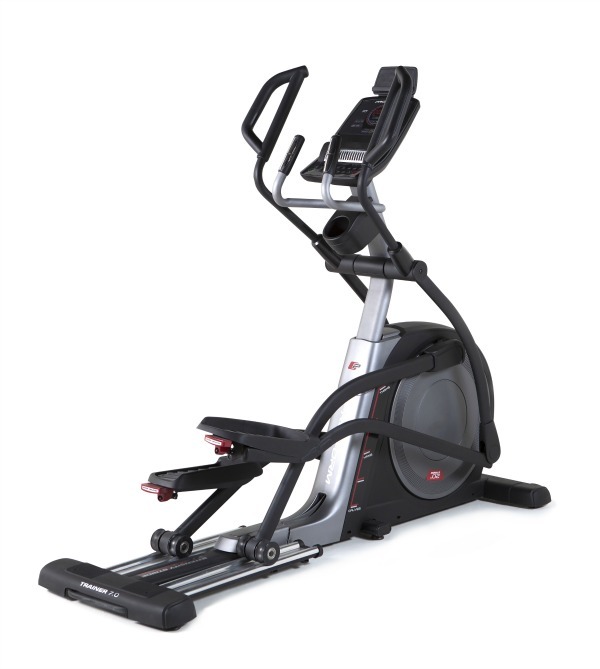 The HealthRider 1250 certainly offers a lot for the money being asked. 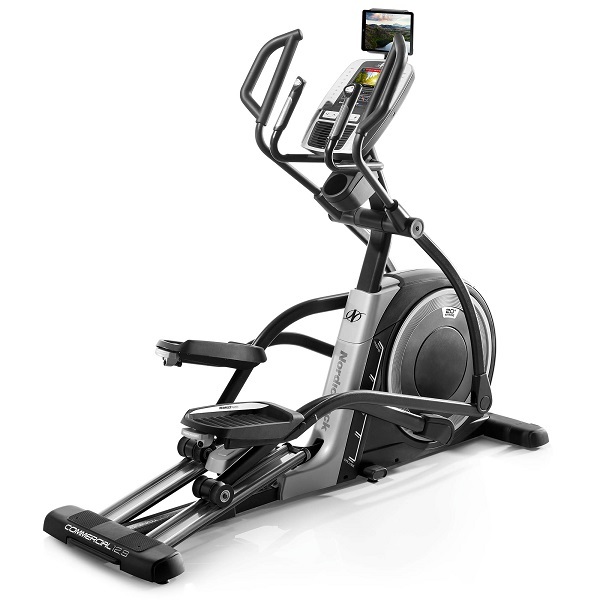 Very few front wheel drive ellipticals offer this many features and such specs at this price point. It's built well, offers a lot of training options, is biomechanically sound and comes with a good warranty. For the money being asked, this is a solid choice.